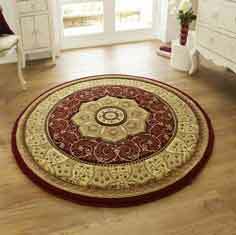 Are you looking for a traditional round rug that wont upset your bank balance? If so our machine woven Heritage rug collection is just the ticket. This heavy-weight, woven Wilton collection is available in three colours, the circular size is 150cm diameter.